Aldi seems to know how to get the internet’s heart aflutter over certain things, wine apparently being one of them. Likewise, Aldi’s got plenty going on for Valentine’s Day that’s attracted the attention of foodie blogs and wine aficionados alike. 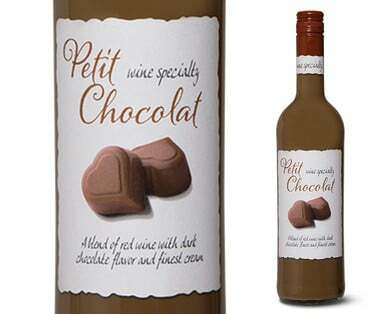 One of the big attractions this V-Day is chocolate wine. And, interestingly enough, Aldi is selling, not one, but two different versions. This is an Aldi Seasonal Wine, which means that, like Aldi’s non-alcoholic Seasonal Favorites, it’s in stores for a window of time and may be replenished during that time. According to Aldi, Petit Chocolat comes in a 750-ml bottle and is a product of Germany. Petit Chocolat is a perfect synergy of red wine with dark chocolate flavor and finest cream. The rich and creamy chocolate flavor makes this wine specialty a delightful dessert on its own or as a perfect companion to all kind of chocolate creations and ice creams. Best served chilled. Unlike the Petit Chocolat, this version is an ALDI Find (Special Buy), meaning that once it’s gone, it’s gone, probably until the next Valentine’s Day season. According to Aldi, in this wine, “dark fruit flavors and decadent dark chocolate unfold.” Aldi notes that it pairs with pastries, biscotti, fruits and desserts. 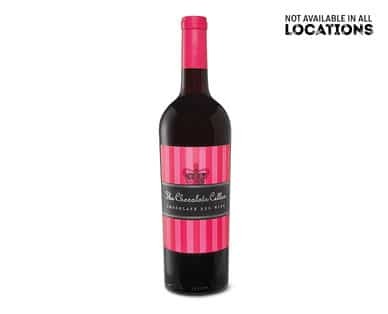 The Chocolate Cellar Chocolate Red Wine is the product of Precept Wine, a large privately owned wine company based out of Seattle, Washington. We haven’t tried either of them, but we’d certainly love to hear from people who have. Feel free to leave your thoughts in the comments. Petit Chocolat, The Chocolate Cellar. Bookmark.